The findings, published in The Lancet Global Health, found how improving childhood education and other health outcomes throughout life could reduce the risk of dementia. 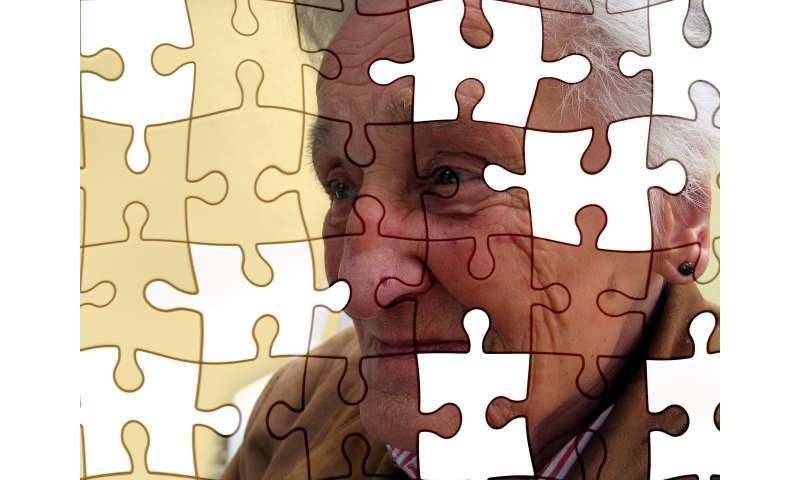 "After our previous research finding that one in three cases of dementia could be preventable, we realised that the evidence was skewed towards higher-income countries," said the study's lead author, Dr. Naaheed Mukadam (UCL Psychiatry). "We have now found that in low- to middle-income countries in Asia and Latin America, dementia may be even more preventable than it is in more wealthy countries. If life-course risk factors such as low levels of education in early life and hearing loss, obesity and low physical activity in mid-life to old age are addressed, these countries could see large improvements in their dementia rates." While the number of people with dementia is increasing globally, particularly in low- to middle-income countries, there have been modest reductions in age-specific dementia rates in many high-income countries over the last two decades. The researchers say this could be due to improvements in health outcomes throughout life that affect dementia risk. The research team built on their previous work for the Lancet Commission on dementia prevention, intervention, and care, published in 2017, which found that 35% of dementia is attributable to nine risk factors: low levels of childhood education, hearing loss, smoking, hypertension, obesity, physical inactivity, social isolation, depression, and diabetes. To understand whether the commission's findings would apply equally to global regions that were underrepresented in the report, a team of UCL researchers sought out data from China, India and Latin America. They drew from the research collective 10/66 Dementia Research Group's data, which used similar methodology to gauge prevalence of the nine risk factors in those countries, with sample sizes of 1,000 to 3,000 in each country. The researchers found even more potential for preventing dementia across the globe, as the proportion of dementia linked to the nine modifiable risk factors was 40% in China, 41% in India and 56% in Latin America. A major factor in that difference is the lower levels of educational attainment in low- to middle-income countries, which the researchers say signals hope for the future, as education levels rise. "People growing up in Asia and Latin America today are more likely to have completed schooling than their parents and grandparents were, meaning they should be less at risk of dementia later in life than people who are already over 65. Continuing to improve access to education could reap great benefits for dementia rates in years to come," Dr. Mukadam said. On the other hand, social isolation is a major risk factor of dementia in higher income countries, but much less so in China and Latin America. The researchers say that public health officials in countries such as the UK could learn from China and Latin America in efforts to build more connected communities to buffer against the dementia risk tied to social isolation. Obesity and hearing loss in mid-life, and physical activity in later life, were also strongly linked to dementia risk in the study area, as well as mid-life hypertension in China and Latin America and smoking in later-life in India. "Reducing the prevalence of all of these risk factors clearly has numerous health benefits, so here we've identified an added incentive to support public health interventions that could also reduce dementia rates. The growing global health burden of dementia is an urgent priority, so anything that could reduce dementia risk could have immense social and economic benefit," Dr. Mukadam said. Senior author Professor Gill Livingston (UCL Psychiatry) added: "A lot of the findings of health and medical research derive primarily from higher income countries such as in Western Europe and North America, so ensuring that research is inclusive is vital to the development of global public health strategies." "While we don't expect these risk factors to be eliminated entirely, even modest improvements could have immense impact on dementia rates. Delaying the onset of dementia by just five years would halve its prevalence," she said.